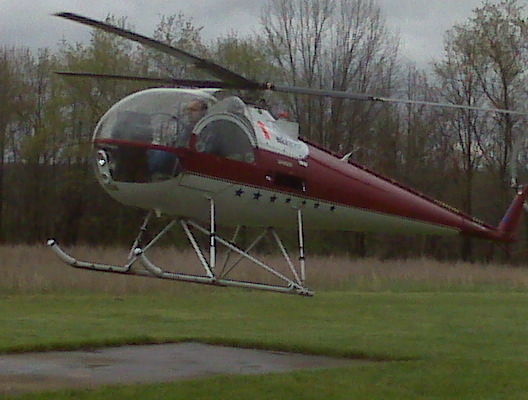 Orv began Mike Orlowski's training in the R22. 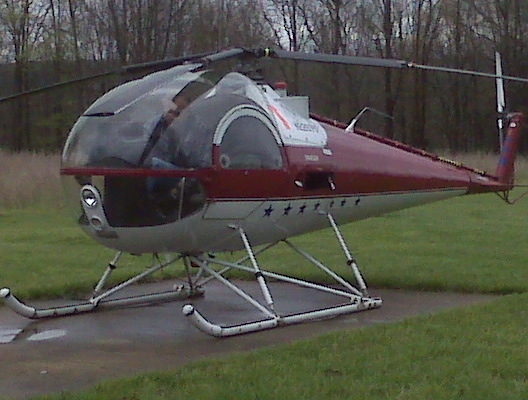 Mike then purchased this Brantley B2B and Orv finished Mike's training and preped him for his check ride in it. 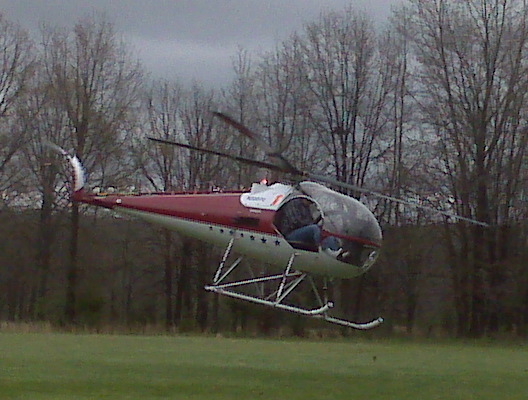 Mike took his check ride with Steve Foster in Searcy Arkansas. 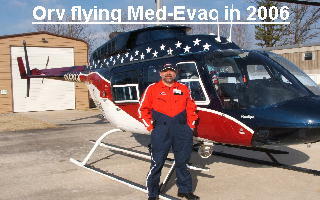 In these photos Mike is flying solo at Orv's training center in Missouri. 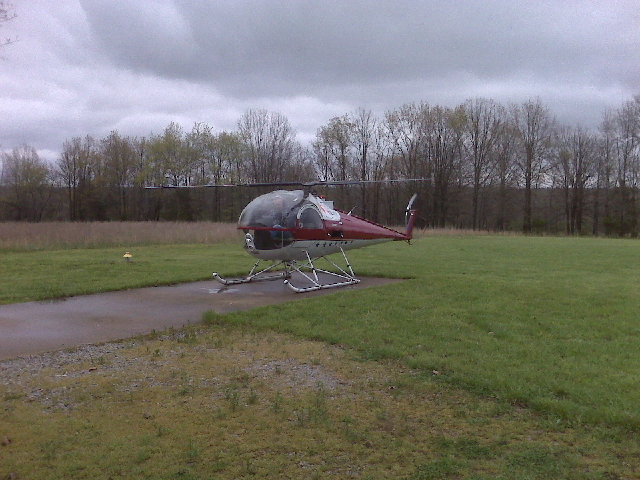 Above Mike is preparing to off from the helipad in front of Hangar #1 at the Sho-Me Helicopters, LLC flight training center.